During his recent visit to Dono-Manga, Chad Rambi was able to see the well drilling operation now in progress first hand. Here is a portion of his report. Capabale of drilling to 150 meters or almost 500 ft.
to mechanical failures that some of the machines developed which are also then fixed immediately by a team of experts. I had a meeting with a senior government official responsible for the operation Mr. Lorbey Matthias who assured me that they are expecting a delivery of two additional drilling rigs to help speed their work. The depth of the wells being drilled is generally between 65-75 meters (215-250 ft.), and they are using 150m-capacity rigs, they also deploy the use of both dragging and hammering beats in the terrain. They have 5-bare compressors, pipes of different sizes and hand pumps among other equipments. He applauded the efforts of Hope Springs International for stepping forward to assist rural communities, and reaffirms the government’s commitment to our partnership. I mentioned in a recent report that the only other drilling operation in this nation is a commercial group that charges over $6,000 to drill one well and they operate only in the northern part of Chad. 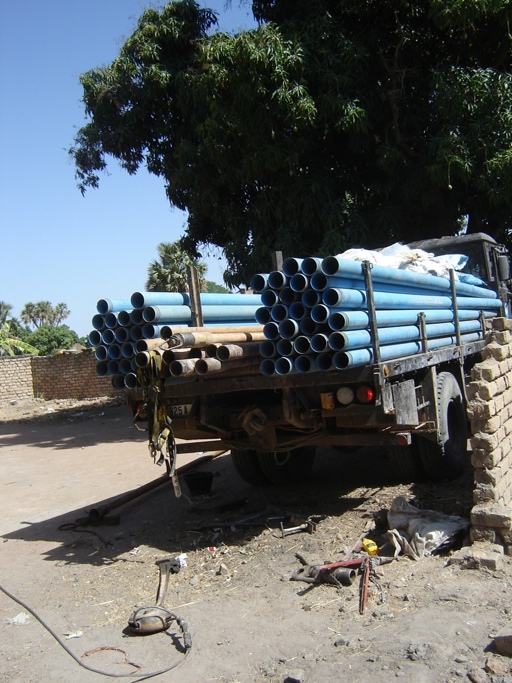 Because of the relationship we have established with the Chadian government we can drill wells for only $1,000. 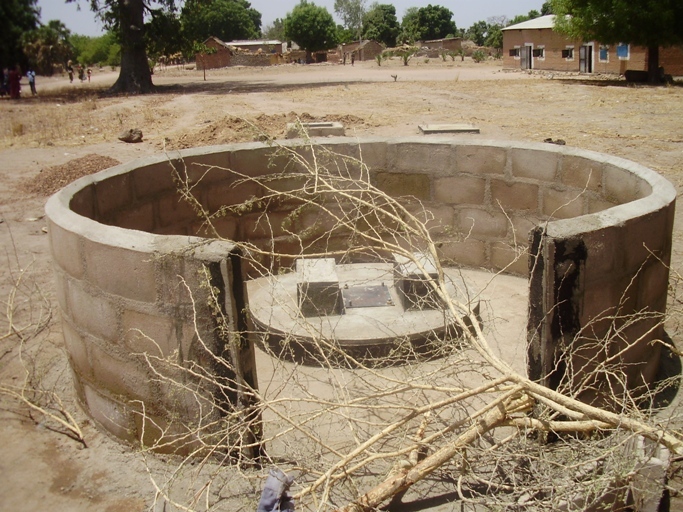 While much below the normal cost these are not cheap shallow wells, but deep, well constructed wells that will last for many, many years and provide clean safe drinking water for thousands and thousands of people. This is such a great opportunity that we must take advantage of it while it is available. 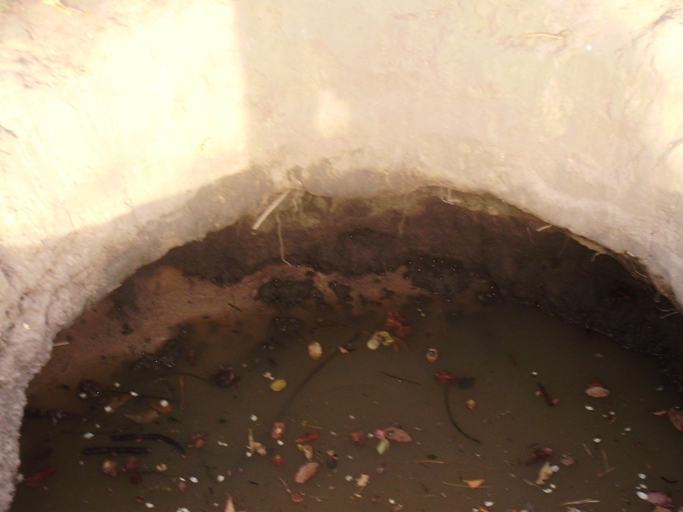 These wells are also opening doors to enable our ministers on the field to establish new churches and reach hundreds of people who have never heard the name of Jesus. 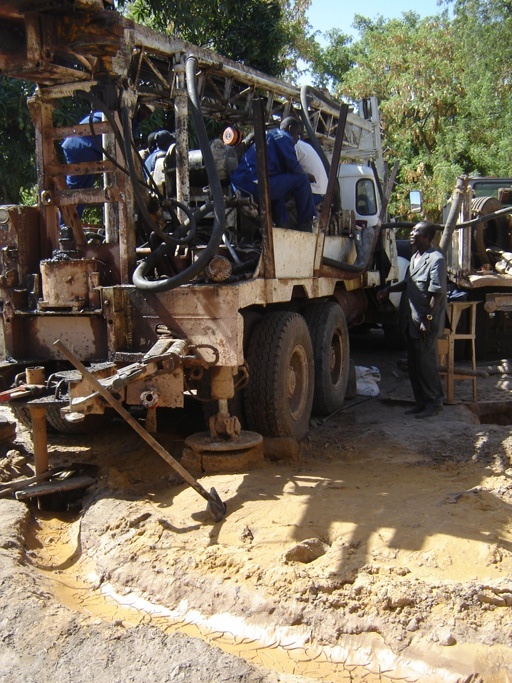 When the 17 wells being drilled now are completed we do not know how long it will be until we can get the government drilling crew back in our area, so it is urgent that we raise funds now for additional wells. 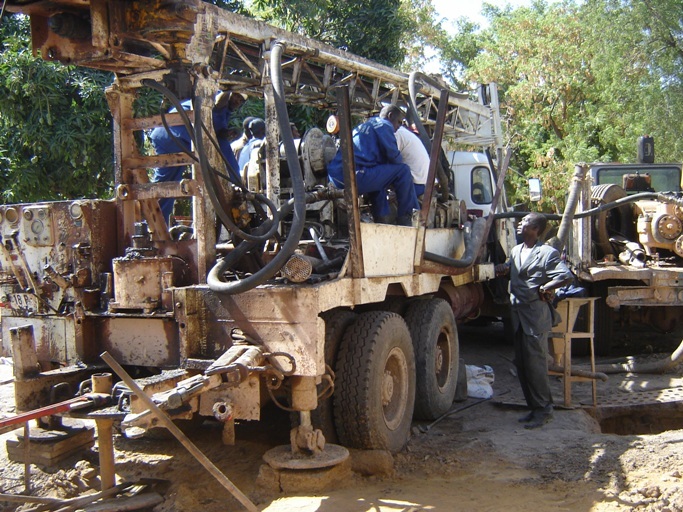 The drillers have agreed to stay in Dono-Manga as long as we are able to provide funds for more new wells. 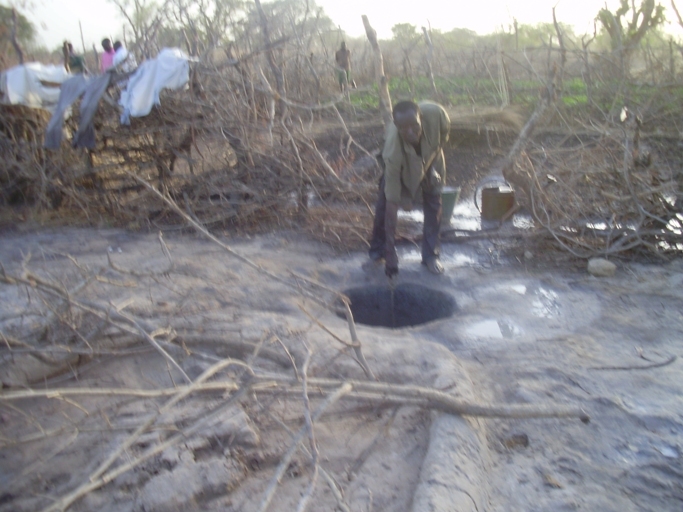 Can you help us with the remaining 28 wells still needed for Dono-Manga? As the picture shows, we still have much work to do. This is the only choice for water for those villages we have yet to reach with a new well. behind a pickup truck and can be operated by just two men. This is an exciting new dimension to our work that you will be hearing more about it in the days ahead. over 2000 people, their crops and their animals for many years to come. You can change and save lives for only 50 cents per person. 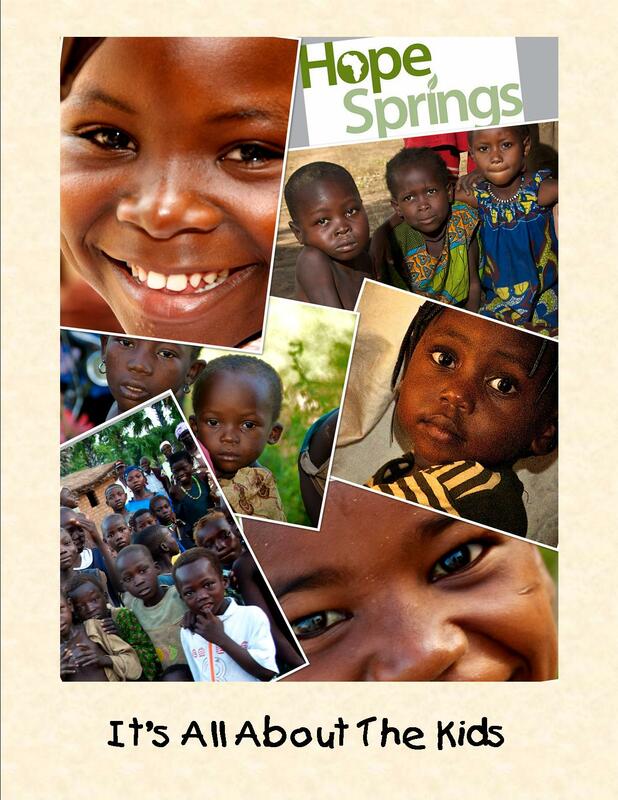 Send you donations today to Hope Springs International, 118 Wessington Place, Hendersonville, TN 37075 or donate online at www.hopespringsint.com. 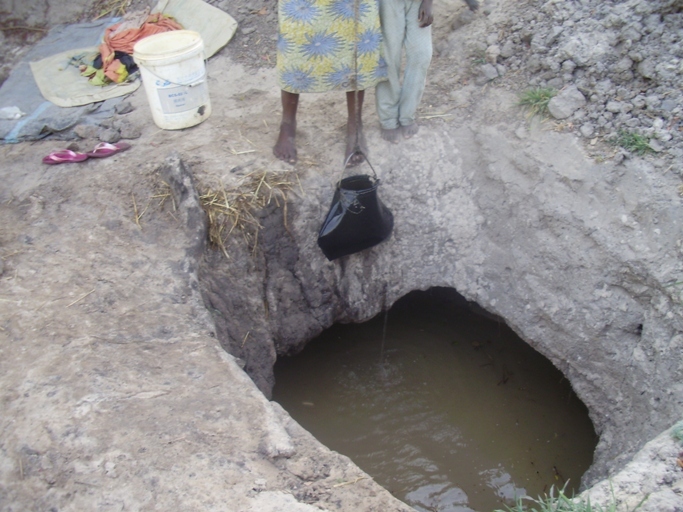 What Would You Do If This Were Your Only Choice For Drinking Water? Categories: Chad, Dono-Manga, New Wells, Water | Tags: Water, Water Born Disease, Wells | Permalink. Your generous hearts are saving and changing lives. Thanks for being Jesus to these little ones and the greater Dono-Manga District of Chad. Categories: Chad, Children, Dono-Manga, Orphanage, Orphans | Tags: Orphanage | Permalink. Full Sponsorship is $100.00, Half Sponsorship $50.00 per month. If you have questions contact us at: rabboniblog@yahoo.com; www.facebook.com/hopespringsinternational. Or drop us a note at 118 Wessington Place, Hendersonville, TN 37075. Help us make a difference one child at a time. We will send you a brochure with names and ages upon request. Categories: Chad, Children, Orphanage, Orphans | Tags: Chad, Children, Orphanage, Orphans | Permalink. 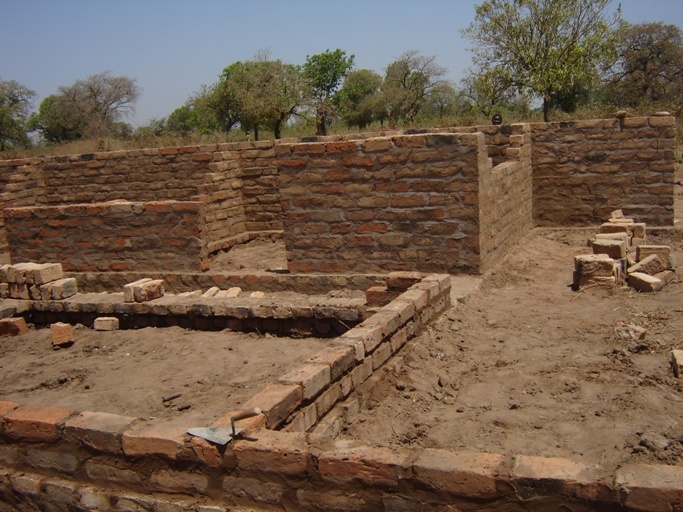 Construction is scheduled to begin on the new orphanage in Dono-Manga, Chad this month. In just a matter of weeks 41 children will have a place to call home. Since their parents died these children have lived on the streets and have begged for food from people who had very little themselves. Many of them are still alive today because Hope Springs’ supporters provided clean drinking water and medication to treat childhood diseases. Soon each child will be sleeping in their own bed. A bed is something that many of these children have never had. We need to begin immediately to find sponsors for each of these children. Monthly donations will provide for their food and clothing needs. 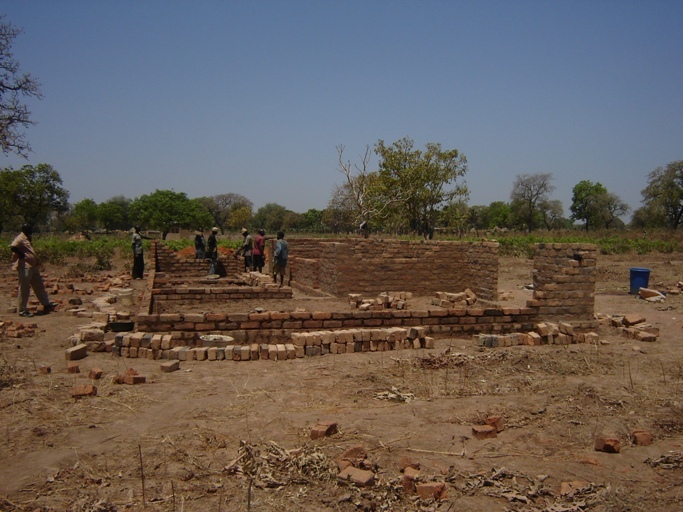 In the near future we will begin to develop a farm on the seventeen acres of land where the orphanage is being built. Children who are old enough to work will be taught how to farm and raise small animals to meet many of their own needs and sell to the greater Dono-Manga District. We believe that sponsorship will only be needed for three to five years to enable the orphanage to become self sustaining through the sale of goods from the farm. 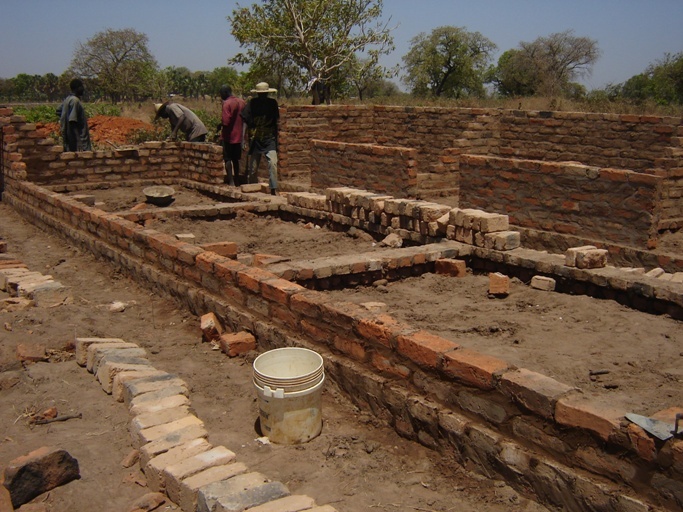 The farm will also become a training facility to teach people the skills of dry season farming. Full sponsorship for one child is $100 per month and half sponsorship is $50 per month. We will of course accept donations of any amount given for the needs of these children. Gifts may be mailed to 118 Wessington Place, Hendersonville, TN 37075. Be sure to include a note or mark on your check that the donation is for support of the orphans. As these children are taught about the love of God, they will experience that love first hand through your gifts for their support. We can only imagine the harvest that will come one day as a result of the seeds of faith that are planted in these tender hearts. Thank you for being Jesus to these little ones. Categories: Chad, Children, Orphanage, Orphans | Tags: Chad, Child Mortality, Children, Orphanage, Orphans | Permalink.